Longfellow Serenade lyrics were inspired by the 19th-century American poet Henry Wadsworth Longfellow. Neil Diamond chose to reference Longfellow specifically after recalling an instance in which, while in his teens, he had used one of the poet’s works to successfully seduce a significantly older woman. 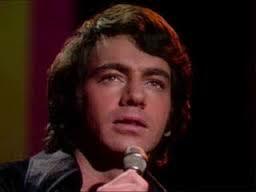 Longfellow Serenade lyrics and music were composed and released in 1974 by the American singer-songwriter Neil Diamond. The song was produced by Tom Catalano, and included on Diamond’s album Serenade. “Longfellow Serenade” spent two weeks at #5 on the Billboard Hot 100 chart in November 1974. It became Neil Diamond’s second #1 on the Billboard Easy Listening chart, following his 1972 single, “Song Sung Blue”. The title of the song is a reference to the 19th-century American poet Henry Wadsworth Longfellow. Neil Diamond chose to reference Longfellow specifically after recalling an instance in which, while in his teens, he had used one of the poet’s works to successfully seduce a significantly older woman.